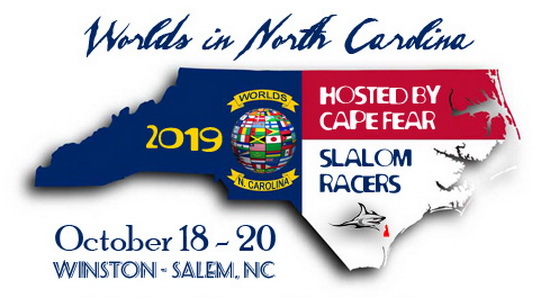 Please note that ISSA World Records are sometimes/often better than those registered by Guinness because the same rules do not apply. 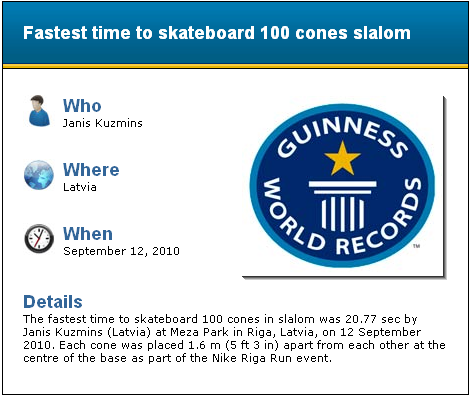 The fastest time to skateboard 100 cones in slalom was 20.77 sec by Janis Kuzmins (Latvia) at Meza Park in Riga, Latvia, on 12 September 2010. 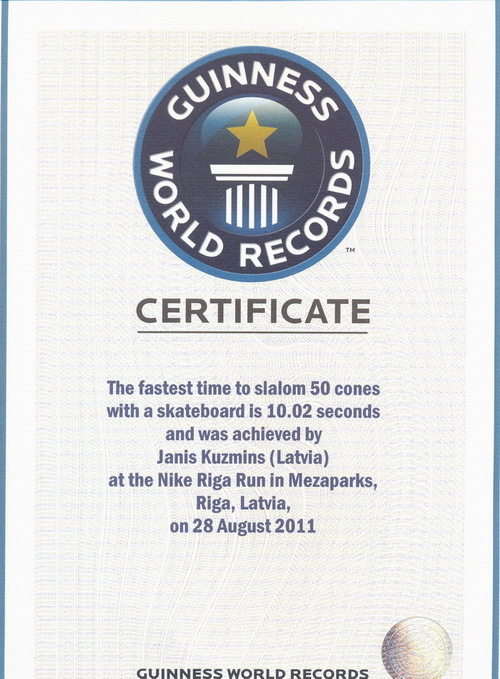 Each cone was placed 1.6 m (5 ft 3 in) apart from each other at the centre of the base as part of the Nike Riga Run event. 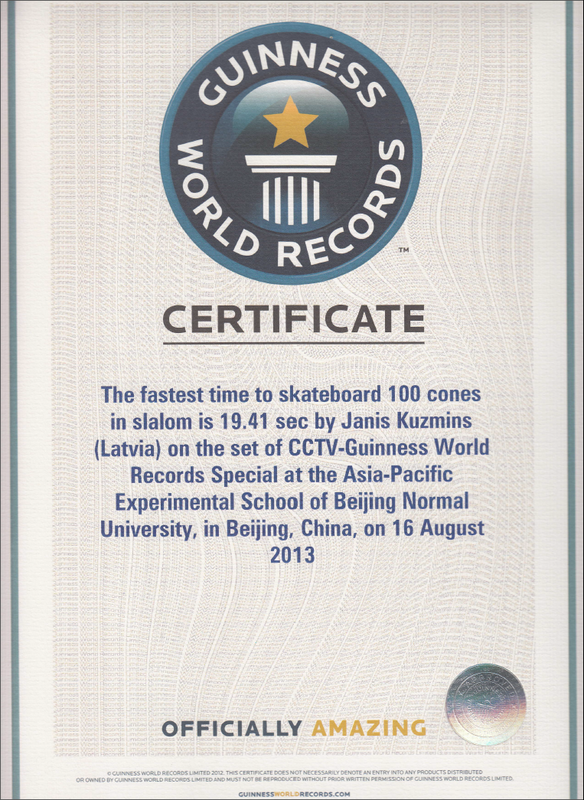 The fastest time to slalom 50 cones with a skateboard is 10.02 seconds and was achieved by Janis Kuzmins (Latvia) at the Nike Riga Run in Mezaparks, Riga, Latvia, on 28 August 2011.